Good Morning! Here is another look from "A Curvy Holiday" series collaboration. This time the ladies and I decided to go with a look for the holiday family and friend gathering. It's a much easier dressing occasion. 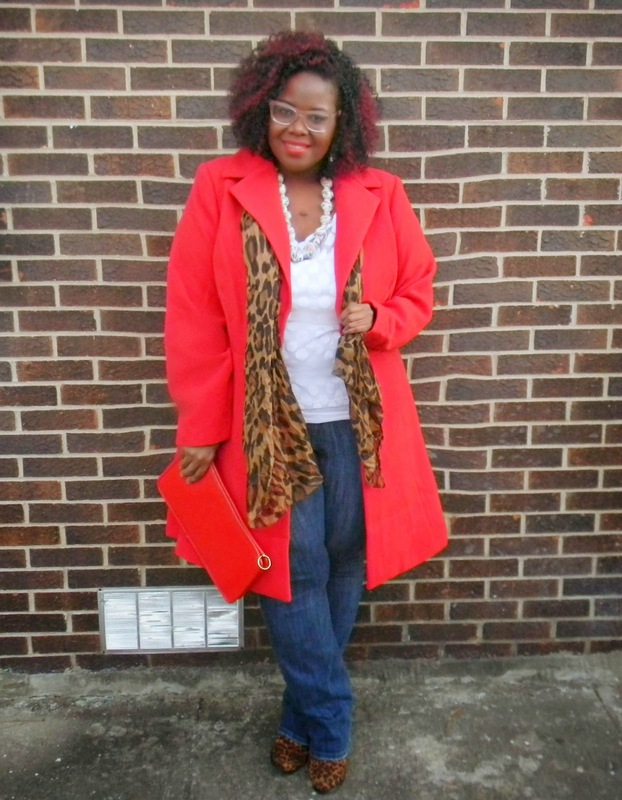 I usually go for a feminine tee, jeans with a bright coat and fun accent pieces. The equation always seems to work for me and for this out the look was exactly what I was going for. 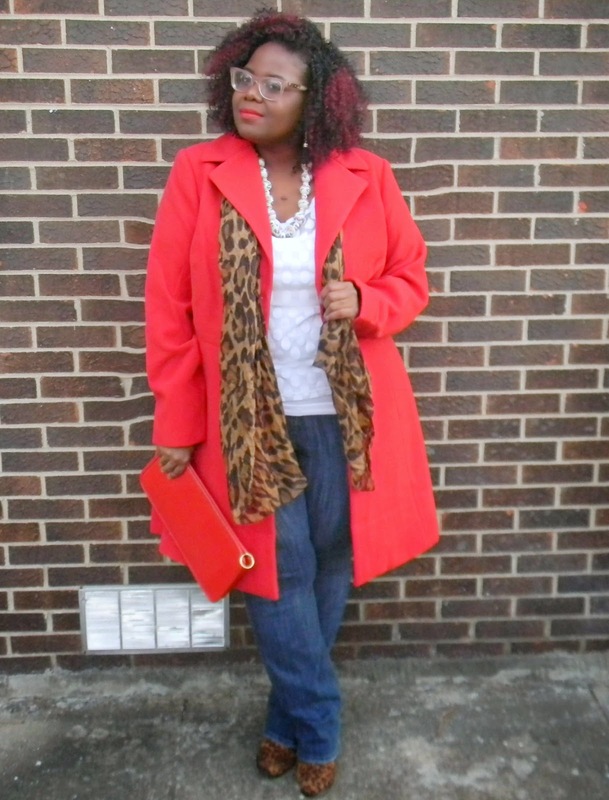 I'm wearing the awesome Clean Cut Coat from City Chic Online, the name is so on point for the coat. I purchased it during the After Thanksgiving Sale with a 50% off discount and then I joined the mailing list and received $25 DOLLARS OFF INSTANTLY!!! If you know anything about me and how I peep the deals and steals , you should know this was a deal I could not pass up. The price was so good I had to buy another coat and a got my mom this coat also for my mom for Christmas.....Shhhh Don't Tell Her. 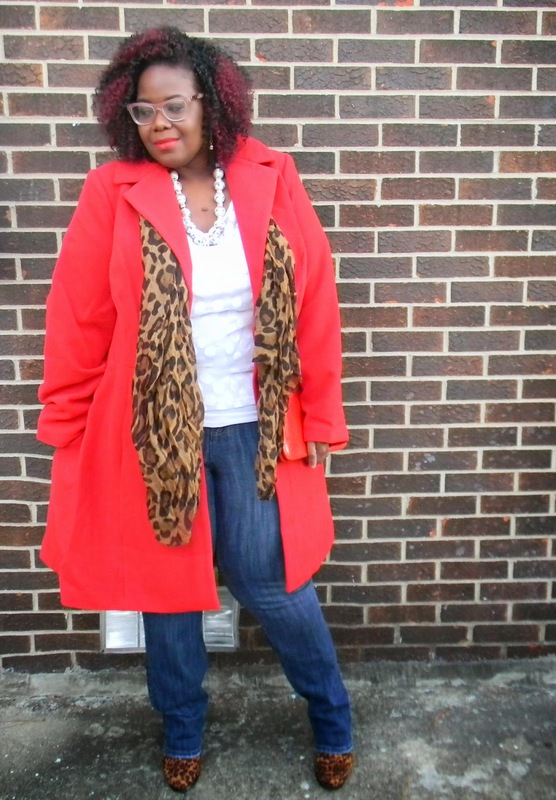 I paired is with a super cute sheer polka dot tee (very old) from Liz Claiborne and Torrid Jeans. Accents with leopard of course. Let's talk coat for a minute shall we? I'm in love with this coat. The material is a soft velvety felt that literally reminds me of those Christmas ornaments I made for my mommy in elementary. 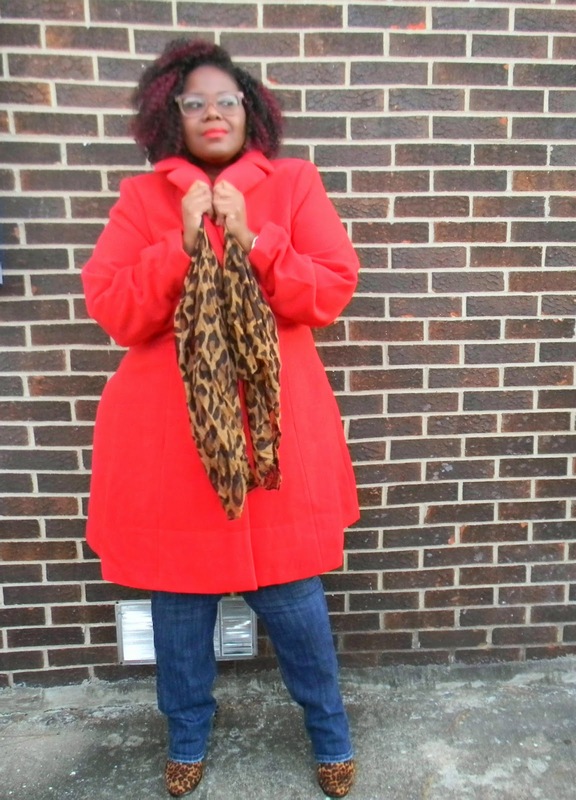 The bright red color is the perfect POP OF COLOR for the season with the classic finish touches of black polished buttons; this coat can easily be a part of my every winter wardrobe. I LOVE this jacket I was looking at this same jacket on City Chic but didn't get it we def have a similar style!! !